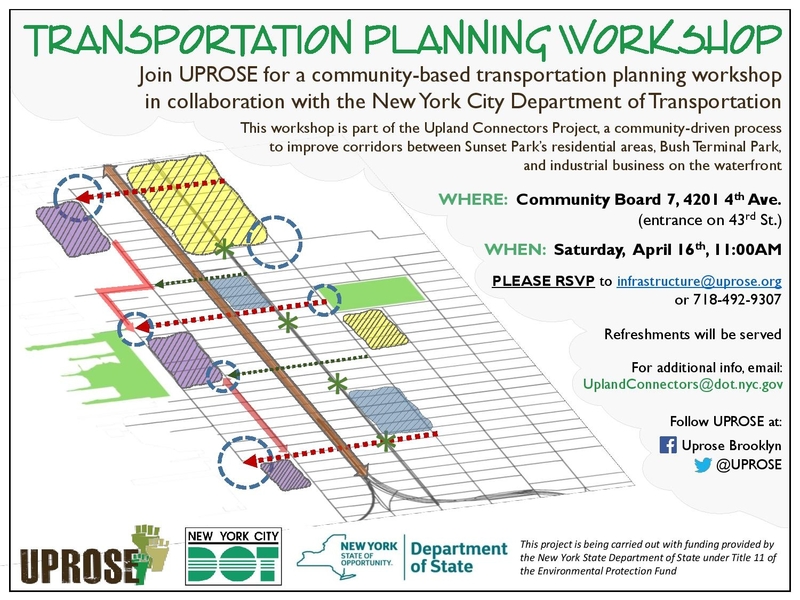 During the workshop, UPROSE and NYCDOT will discuss several design alternatives that have been developed using community input collected over the past year. Participants will have an opportunity to select a preferred design, and provide feedback as to why they believe it will best suit the Sunset Park community. Refreshments will be provided.